While Apple Music subscriber numbers have been growing at an impressive pace ever since the streaming service was launched back in the summer of 2015, the company that’s relying on its Services business segment for a larger and larger chunk of its overall revenue is unlikely to be satisfied until it manages to surpass market leader Spotify. To help with that ambitious but totally doable goal, Apple recently extended Amazon an olive branch, entering a mutually beneficial partnership, also joining forces with Verizon to further boost the platform’s exposure. The latest in this line of high-profile alliances adds complimentary access to Apple Music during domestic American Airlines flights starting Friday, February 1. To be clear, American Airlines passengers will still need a premium subscription or free trial for the popular music streaming app, but as long as your aircraft is equipped with Viasat satellite Wi-Fi, you won’t be charged the usual inflight Wi-Fi fee to relax to your favorite tunes. We’re talking at least $10 you’d normally have to pay to browse the web and stream your online playlists at 35,000 feet in the air. 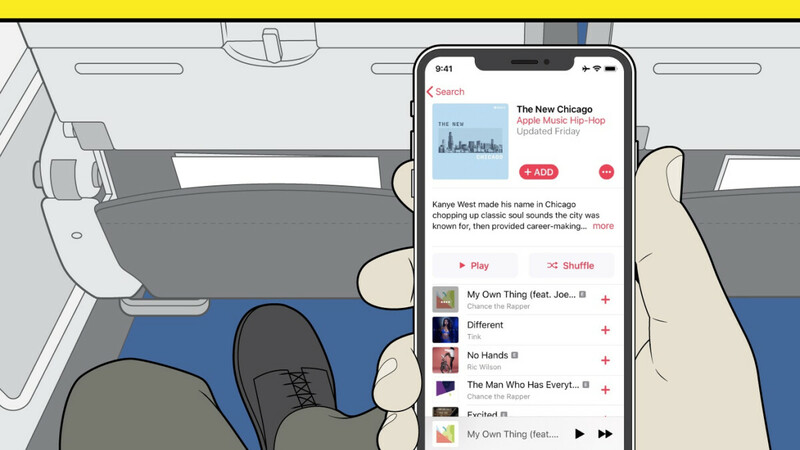 Of course, Apple Music does support content download and offline listening features designed specifically to save you a lot of hassle in these situations, but airplane travelers aren’t always the best planners. Besides, having access to the entire Apple Music library of over 50 million songs, playlists, and music videos sounds especially convenient for trips that can get turbulent or just outright annoying at the flick of a switch. It goes without saying that American Airlines is the “first commercial airline to provide exclusive access to Apple Music through complimentary inflight Wi-Fi” in yet another high-profile partnership likely to prove advantageous for both parties involved. Fly AA pretty regularly. Cant even get the regular wifi to work, half of the time. So yeah... you best just download your playlists for offline listening and not wasting your time with any of this. Cool feature. Do some airlines offer Netflix for free?